The province of Alicante is located in eastern Spain in the Autonomous Community of Valencia. Situated on the Mediterranean coast, in the region known as Costa Blanca, the province is bordered by Valencia to the north, Murcia in the south west and the Mediterranean Sea to the east. Alicante, its capital city, Benidorm, Denia, Elche and Torrevieja. Thousands of visitors flock here every year to enjoy beautiful blue flag beaches, all year mild climate, delicious cuisine and friendly, warm welcome from the locals. Documented records show that the Iberians were the first inhabitants of the Alicante province and there are several archaeological sites in the region, which depict this era, one in particular is La Serreta (near Alcoy). The area was subsequently occupied by the Phoenicians, Greeks, Carthagians, Romans, Visigoths, Moors and finally conquered by Ferdinand III in the 13th century. At one point in history, the region formed a part of the Kingdom of Valencia. 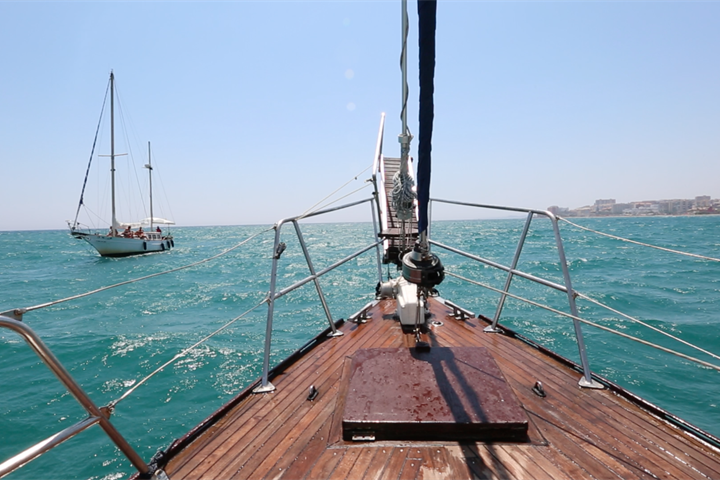 The air in the capital city of Alicante is pervaded with the scents of the sea; indeed the city has been an important seaport for many centuries. There is nothing as pleasant as strolling along the quayside promenade lined by four rows of palms, tessellated with marble in Alicante red, cream and black in imitation of the waves of the Mediterranean. In the centre of the La Marina Baixa region, in the province of Alicante, is the popular Spanish resort of Benidorm, one of the main tourist destinations along the Costa Blanca. Its excellent beaches, wide variety of accommodation, restaurants and many recreational activities means it’s a hit with tourists from all over Spain and Northern Europe. At the heart of the Costa Blanca, within the province of Alicante, lies the ancient fishing village of Calpe. Calpe has a wonderful modern marina that sits alongside the old fishing port; from here it is possible to take boat rides around the rock and to the nearby resort of Benidorm. Denia is a delightful cosmopolitan town that sits at the foot of a hill crowned by a castle. The city has well preserved ancient walls and bastions. Santa Pola is located approximately 20 minutes drive south of Alicante airport. A small fishing port, Santa Pola is famous for its variety of landscapes, from the views of the distant mountains to the wild sand dunes. Benitachell is a tranquil and picturesque village, originally an Arab outpost, with a stunning coastline nearby, which is formed by a succession of cliffs of more than a 100m high that descend vertically into the sea. To complete your meal, Alicante has some excellent local wine denominations, and for dessert, don’t forget the famous ice creams, Turron and dates. The province of Alicante enjoys a privileged location and an excellent mild climate, with an average year round temperature of 18-20° C.
Whether you fancy a drink in a beach bar, pool party, trying your luck in the casino or a night at the theatre, Alicante comes up trumps. Exploring Alicante's 100kms of coastline by boat is a beautiful way to see its craggy cliffs, picturesque coves and fine sandy beaches. Moorish tales of star-crossed lovers in Alicante castle, a temptress in Guardamar and why the Jalon Valley is full of almond trees. Alicante’s fabulous weather all year and range of golf courses have turned the Costa Blanca region into a top destination for a golfing holiday. Alicante's wines and cuisine are well-known but this Spanish region also has a fine tradition of creating cocktails and fiery liqueurs.